In a large bowl, mix tomato paste with vegetable broth until dissolved. In a large pot, saute onion, garlic, celery and green pepper until slightly soft, about 5 minutes, stirring frequently. Add uncooked rice and allow rice to toast for one minute, stirring. Add tomato and broth mixture. Reduce heat, cover and simmer for about 10 minutes, stir occasionally. In a separate skillet, saute the okra, veggie burgers (if using) and zucchini (if using) until just barely cooked, about 3-5 minutes. 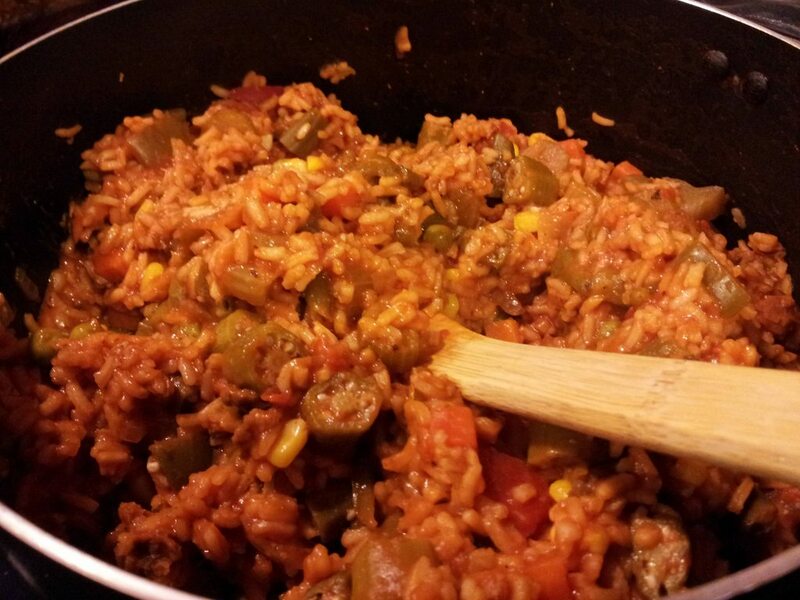 After the rice has cooked, Add the vegetables, spices, and diced tomatoes. Stir well, cover and allow to simmer for at least 10 minutes or until veggies are cooked. Serve hot with your favorite crackers. 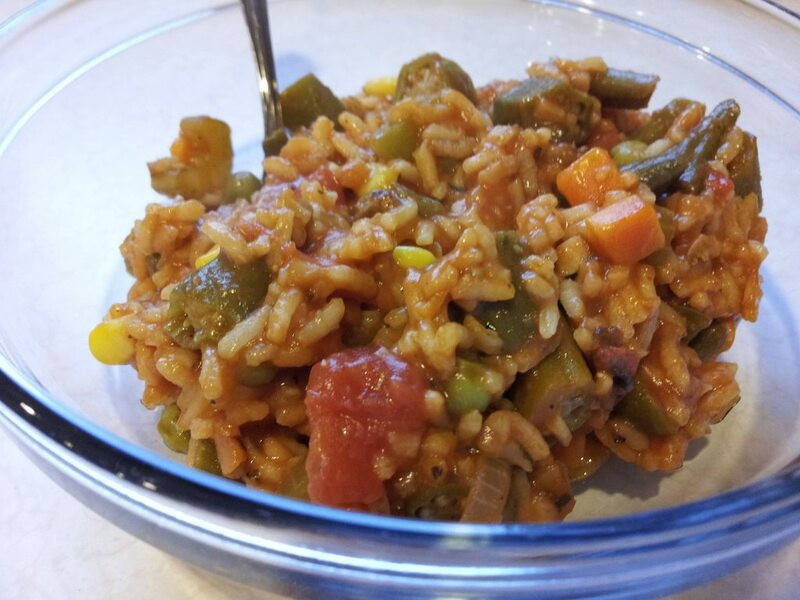 Side note: You can add any vegetable you want, after all it is a jambalaya. I recommend you try it this basic way the first time, then when you cook it later on you can add whatever you thought it was missing.